In today’s fast and highly competitive digital world, online tools are essential if you want to stay ahead of the game. However, in a sea of cool online tools, it can be hard to choose the right one for your nonprofit. Many of them seem to offer similar benefits, and many are expensive for a vast majority of nonprofits. So, how can you discover the best online tools for your nonprofits, when all of them are promising great results? Online fundraising has become the bread and butter for nonprofit organizations around the world. It garners millions in charitable giving for the nonprofit industry every year. Online fundraising lets donors give easily and frequently and it keeps their information secure. It also lets nonprofits collect donations from anywhere, capture more donor information, increase their brand awareness, and raise funds cost-effectively. Win-win! And fundraising is, in addition to delivering your programs/services, the most important activity for a nonprofit. You can’t serve your beneficiaries without funding. Therefore, it’s quintessential to choose a great donation software. Donorbox is a powerful fundraising software that is very simple and fast to set up. You can start fundraising with a fast, optimized donation payment system in 15 minutes. Over 7,000 organizations from 25 countries use the Donorbox fundraising software. Organizations can seamlessly embed a custom form to their website or use a popup widget. This effective fundraising software offers many impressive features. Donorbox is optimized for recurring donations with its simple and effective checkout. Donorbox also offers the fundraising thermometer feature, which in combination with the recurring donations increases the number of donations. It offers plug and play plugins for WordPress, Wix, Weebly, and Squarespace, and it not only accepts donations in multiple currencies (USD, EUR, CAD, GBP, AUD, plus more) but has also recently introduced ApplePay and Google Pay as payment options. Donorbox also features simple and beautiful donation forms, embeddable donor wall, company matching search, donor management system, and many more useful features for your nonprofit. Donorbox is free if you get less than $1k in donations in a month. There are no set up costs. If you reach $1k in a month, Donorbox charges a small platform fee of 1.5% for the month’s donations. Email marketing has been chastised for being a thing of the past, but study after study puts email marketing as the most effective way for nonprofits to build awareness, acquire leads, convert prospects, and retain current customers, even after compared to social media. 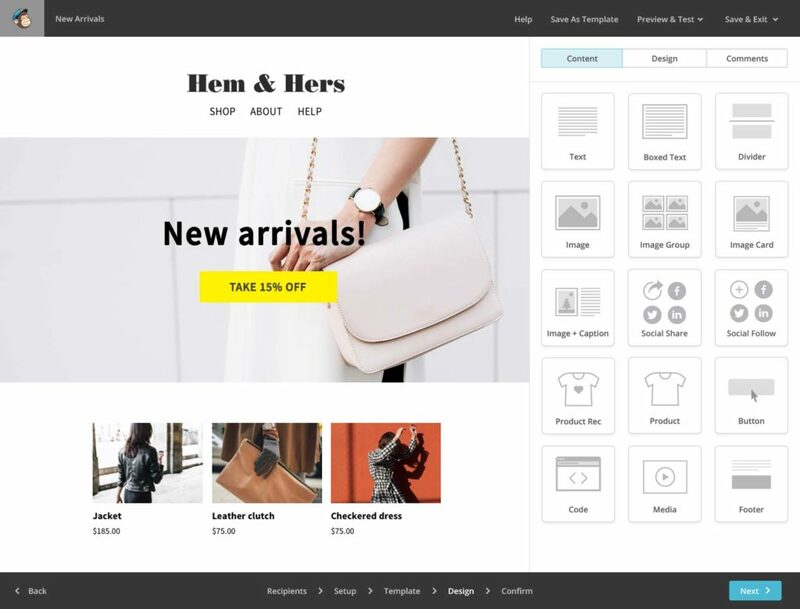 MailChimp lets you easily customize and brand your emails. You can use their range of templates or create your own. You also have the ability to remove the MailChimp logo from the bottom of each email. MailChimp also provides thorough analytics that allows you to see how many subscribers have opened your email, which links were clicked the most frequently, how many people unsubscribed after receiving your email, and even how your response compares to the industry average. Another great feature of Mailchimp is automation. On Mailchimp you can create and schedule automated emails that follow up on donations, questions, and more. With MailChimp, your nonprofit can also perform A/B testing, as well as target and segment donors. MailChimp integrates with apps you already use, allows you to create beautiful, mobile-friendly landing pages, and even offers a mobile app. The options with Mailchimp are numerous! If you have less than 2,000 email subscribers, you can use MailChimp’s most basic plan for free. This is great news for nonprofits who are fairly new to the industry and have limited funds. Salesforce created the Nonprofit Success Pack specifically for nonprofits, with the intention of allowing nonprofits to focus on their impact. Over 30,000 nonprofits around the world use Salesforce, from small organizations working in a single community to multinational NGOs and foundations. The Nonprofit Success Pack features a flexible, open data architecture and pre-built constituent and donor management components. The Salesforce Nonprofit Success Pack, being customized for nonprofits, helps your entire organization to cultivate donor relationships. It enables nonprofits to observe every interaction with a funder or volunteer. Having a lot of information, organized in a systematic way, can help you establish and grow donor relationships, manage the donation cycle. The NPSP offers the type of user-friendly and engaging experience which today’s donors expect. One of the appealing features of NPSP is its ability to be configured for the needs, goals, and day-to-day processes of any organization with minimal custom programming. The tool is designed to grow with you. Finally, it’s powerful – you ultimately get the same tool that Fortune 500 companies using the “regular” Salesforce get. 10 user licenses/logins to the NPSP are free for nonprofits (additional licenses for the NPSP are $36/month). Standard Plan: They offer workspaces with 250 or fewer members a free upgrade, and an 85% discount for workspaces above that size. Plus Plan: They offer workspaces of any size an 85% discount. Analytics is something every organization that maintains a website should do, for-profit or nonprofit. Google Analytics allows your nonprofit to track online conversions, both hard conversions and soft conversions. Hard conversions are ones that contribute directly to organizational operations or programs. Think online donations, volunteer registrations or form submissions for more information. Soft conversions are online activities that lead to hard conversions. Think of them as engagement steps, like downloading an annual report or visiting more than ten website pages. Another great feature Google Analytics offers is tracking pages with high drop-off pages. This allows you to see which pages deter visitors from completing calls to action (like donating). This lets you immediately spot the bottlenecks and work on them. One of the best things about Google Analytics is that you can make informed decisions on where your nonprofit staff should spend their time. 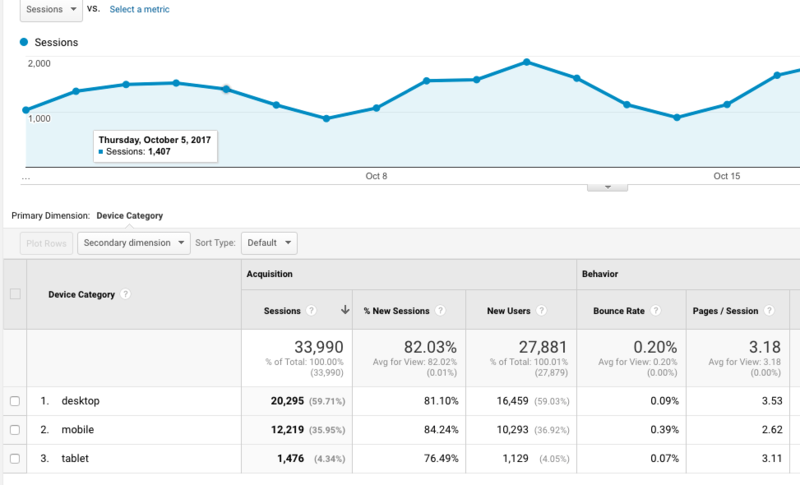 Resource capacity is frequently an issue for many nonprofits, and Google Analytics helps remedy these issues. You can understand which visuals are effective, which blogs attract the most readers, which campaigns bring in the most results, and so on. When you know what works and what doesn’t, you can make better decisions for your nonprofit. The basic service is free, which is usually sufficient for most websites, but there is a paid premium version available. Buffer offers Starter Plans at $0 and $15 each (where the free plan allows you to manage three social media accounts), and Business Plans at $99, $199, and $299 each. Buffer also offers a 50% discount to all registered nonprofit organizations. All they need to see is your official documentation, such as a copy of your 501(c)(3), or your country’s equivalent, to support your nonprofit status. Today’s audience demands engaging high-quality visual content. The standards for photos and videos posted on social media is only getting higher. OpenView Marketing Lab’s “Beginner’s Guide to Stunning Visual Content Marketing,” reports that company Facebook pages who post status updates with visuals in the form of videos and photo albums create up to 180 percent stronger engagement. Powerful stats like the ones below, further remind us of the power visuals hold. When information is relevant, readers spend more time looking at the images than the content. For many nonprofits, this can be a stressful ordeal unless they employ a professional designer. However, many nonprofits cannot afford one. 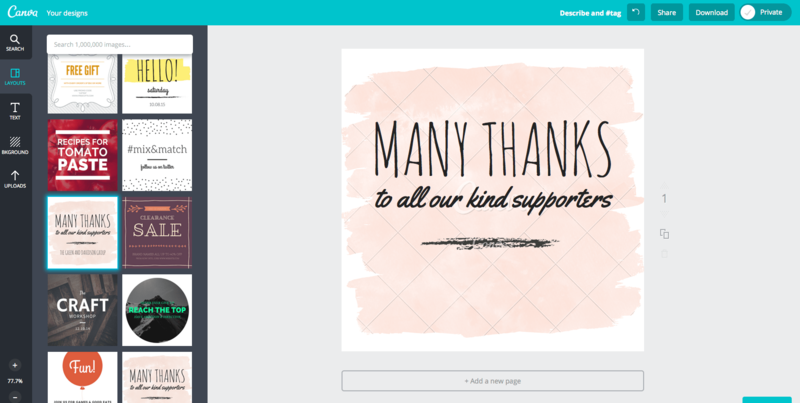 Canva offers a great solution to nonprofits who wish to create great visual content anyway. Canva assists in the creation of visual content for social media and marketing materials. It offers thousands of templates, making it quick and easy to create appealing graphics. Its premium version, Canva Work, offers even more tools to try out. Canva makes creating visual content for social media channels a breeze. It’s very easy to use, includes templates, and lots of useful how-to information. You can even set up a brand kit including your brand colors, fonts (you can even upload a font if you have one), and logos. It’s also easy to create and save branded templates so that everyone on your team can access them. Canva offers Canva Work for free to registered nonprofits. Asana is one of the best free project management tools with an attractive interface. Whether your nonprofit team is tracking a big or small project, you are sure to stay organized and on track by utilizing Asana’s basic tools: project workflows, task assignments, team establishment, due dates, and comments. In Asana, users join Projects and Teams as applicable. Each Project has a task list. Each task can have subtasks, as well as an assignee, due date, attachments, comments, tags, and followers. You use these tasks and subtasks to track work. The comments and other data help you understand what’s happening with the task so that you don’t need to discuss matters over email or some other way. As tasks and subtasks are completed, all of their history and everything that occurred ends up being attached to the task itself. 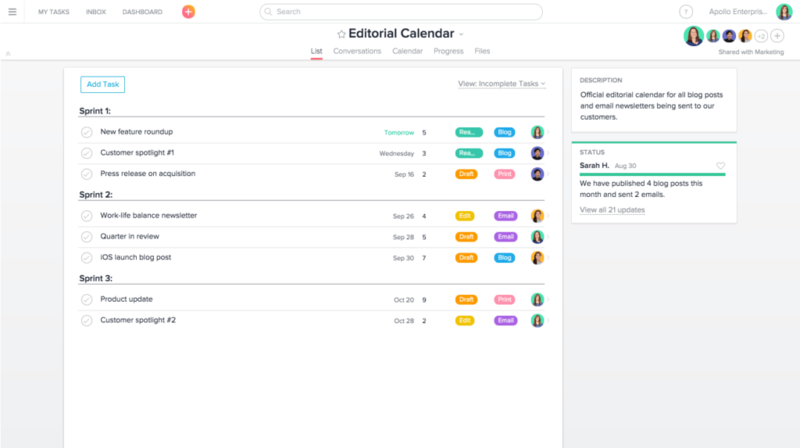 As soon as a change is made or a task is assigned, Asana users receive notifications in their inbox, and are invited to check, follow, like, or comment the update. You can even draw the attention of a particular team member by simply mentioning him/her in task comments to make sure they’re in the loop. More advanced features include the ability to upload documents, and integration with a variety of programs including Google Chrome, Dropbox, MailChimp, Okta, and many more. 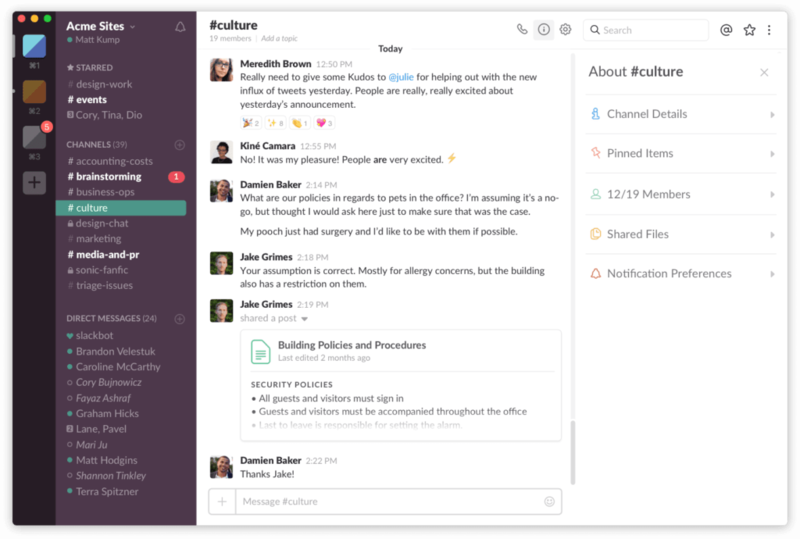 Asana doesn’t offer a chat feature, but you can integrate Asana with Slack (mentioned in this list). While Asana should not be confused with a project management software since it doesn’t include Gantt charts, time-tracking, and some other advanced tools for managing projects specifically (for that we recommend Podio which has an incredible amount of flexibility), it is great for task management, workflow management, and basic process/project management. Asana is free for up to 15 users. If you have additional users, or you would like to upgrade to utilize more advanced features, Asana Premium is available for $8.33 or less per user per month. 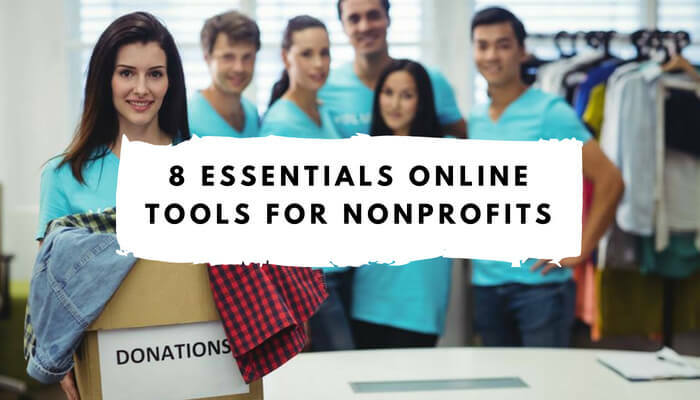 These are our top picks for essential online tools, each selected to help you in a particularly crucial area of nonprofit activities. Remember to always contact companies via email prior to paying the full price – many companies offer discounts to nonprofits. Furthermore, when selecting an online tool for your nonprofit, weigh the costs and benefits. Sometimes the best tool isn’t the most expensive one, and sometimes a tool that costs $30 a month might save you hours of work each week. If available, always use the trial period to test whether the tool is right for your nonprofit. Being a digitally savvy nonprofit is now a must. Technology is transforming how nonprofit professionals engage with donors and supporters across mobile and online platforms. While offline fundraising still accounts for a significant amount of giving, honing your digital skills and acquiring knowledge of new tools and platforms will enable you to engage with many more donors – and help you stand out in the sea of nonprofit organizations.